The city of Chefchaouen, the jewel of the fierce Djeballa tribe in the Rif Mountains of Morocco, sits cradled between the twin peaks of Jbel ech Chefchaouen, ‘the horned mountain’, 40 miles south of Tangier. Founded in 1471 in honour of Moulay Abd es Salam Ben Mchich, the patron saint of the area, it was first a citadel before becoming a destination for Muslim and Jewish refugees expelled from Spain under the Christian reconquestre. Crossing the Straits of Gibraltar was, as it remains today, a rite of passage for migrants driven by religious, economic and political necessity. Until Spanish troops arrived in 1920 by express invitation of the Sultan of Morocco to assist in suppressing the Djeballa, Chefchaouen had been visited by only three people from the west since its original Andalusian influx. Two were the missionary explorers Charles de Foucauld, a Frenchman who spent just an hour in the town in 1883, disguised as a Jewish rabbi, and William Summers, an American who was poisoned by the townsfolk here in 1892. The third, in 1889, was the British journalist Walter Harris, whose main impulse, as described in his book, Land of an African Sultan, was “the very fact that there existed within thirty hours’ ride of Tangier a city in which it was considered an utter impossibility for a Christian to enter”. Harris is also recognised as the only westerner to enter Mecca similarly disguised as an Arab. From 1920 the third Rif war started and the following year saw the spectacular Spanish defeat known in Spain as the Disaster of Annual where the forces of the Djeballa leader Abd-el-Krim destroyed the 14,000 strong Spanish army. Indecisive battles followed and in 1925 the French joined the battle and Abd-el-Krim eventually surrendered to French authorities on 27 May 1926 following joint Spanish and French operations. It took until 10 Jul 1927, and the defeat of other tribes, before Spanish Morocco was considered pacified. ‘The city looked lovely from the air, hugging its high mountain and surrounded with many gardens and green cultivations… I looked down upon the numerous sanctuaries, the six mosques, the medieval dungeon, the big Square with its fountain playing and fervently hoped none of them had been damaged. I regretted having to attack a town that always had maintained its independence except for the few years of Spanish occupation’. The Djeballa tribe had finally been defeated and the Rif region was accessible for the first time to the Sultan. 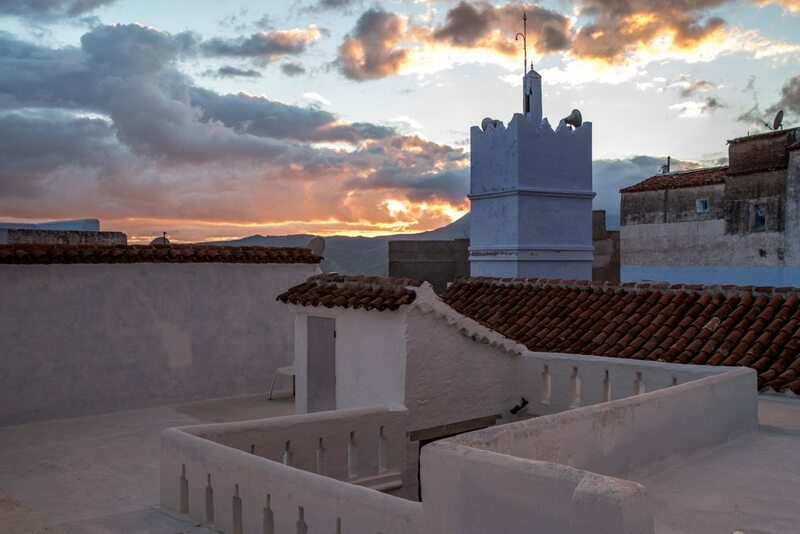 Tribal conventions went on unabated though and Rif culture continued to inform and pervade the region and Chefchaouen in particular, as it learnt to live side by side with French and Spanish customs and language. Distinctive costumes, colourful markets, prevailing folklore, superstitions and the importance of the myriad springs continued to proclaim cultural diversity and richness. In the 1930s the custom of painting houses blue commenced, either inspired by local Jews who believed that blue is closer to heaven or more pragmatically because the colour blue dissuades mosquitos. 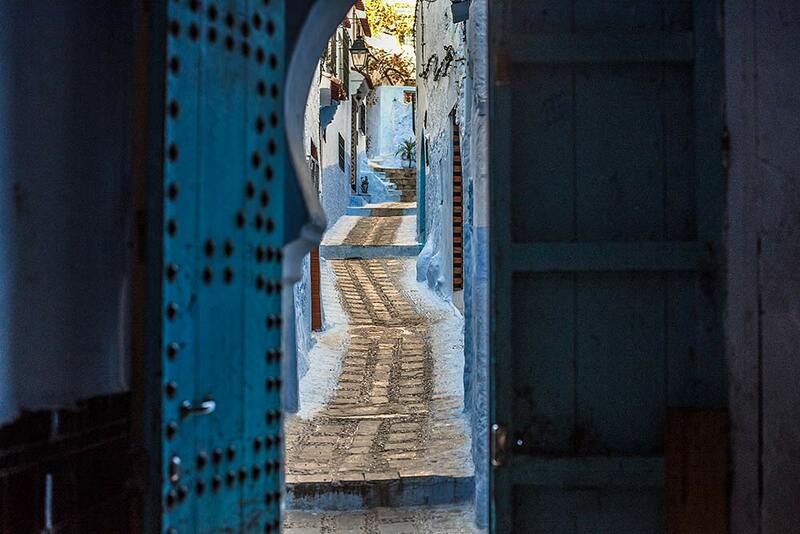 Today Chefchaouen is famous for its blue painted houses, chilled atmosphere and widespread availability of locally grown marijuana, whose crop can be inspected by tourists either alone or with guides. 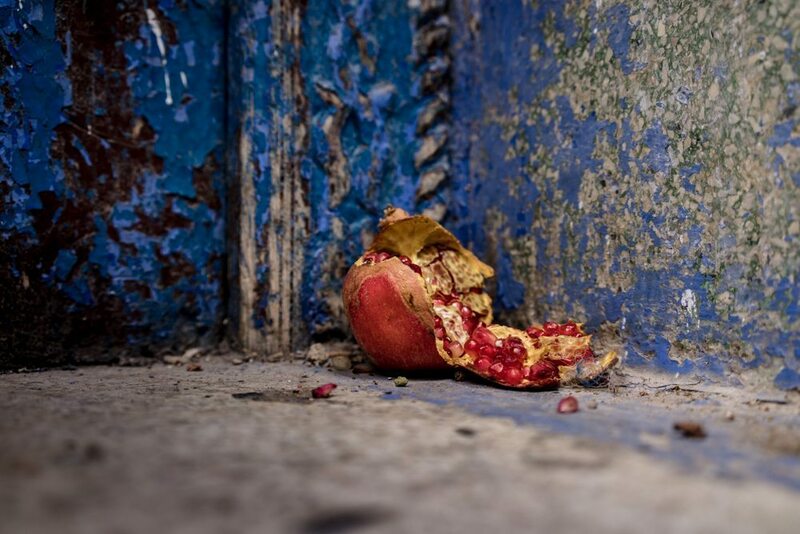 Although available to see and to purchase from the small farms producing it in the hills and mountains, the distribution network to its European market is never discussed and enquiries to guides elicit guarded and obfuscatory responses. There are suggestions that some of the income raised from its sale helps to fund the Sarwarhis in their fight to regain control of their country from the occupying Moroccan forces in Western Sahara. 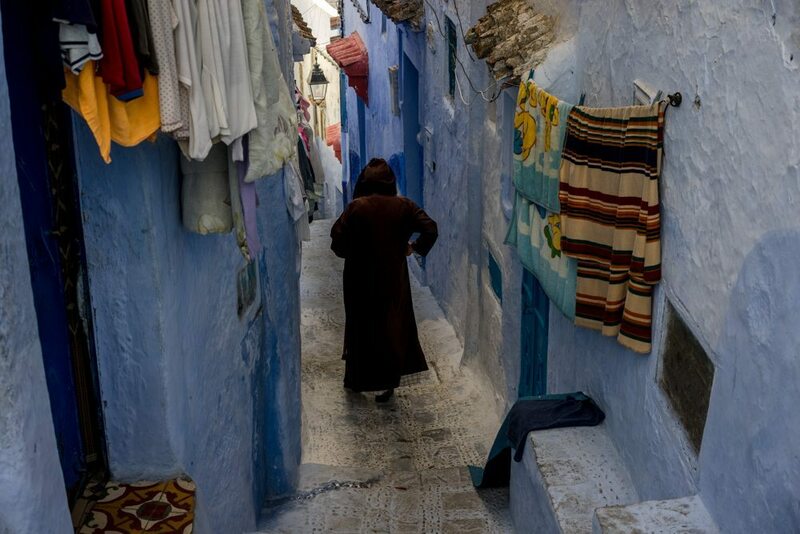 Chefchaouen is also famous for hand made goods and crafts difficult to find elsewhere in Morocco. The many mosques, some dating back to the Andalusian influx of refugees and actually constructed by the refugees themselves, contribute to the daily sonorous calling to prayer, five times per day, the sounds of which floats into the mountain air. It still retains the tombs of saints which pilgrims continue to travel to. Hammams fuelled by wood provide opportunity to bath, relax and meet friends. Women wearing traditional Ruffian dress make their way to market to sell foodstuffs untainted by technology. In the new town, it even has a garden and fountain designed by Joan Miro and constructed in Seville, indisputable evidence of its Spanish cultural immersion. What was once a paradise enjoyed principally by the peoples of the fierce and independent Djellaba tribe has become an inclusive paradise potentially for anyone prepared to make the winding journey into the Rif.